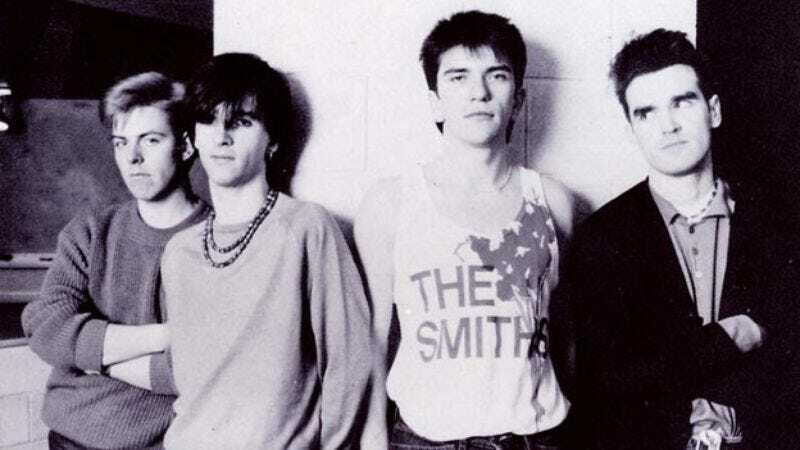 I’m not sure that I’ve ever really been scared by a song, but if any has come close, it’s “Suffer Little Children” by The Smiths. The lyrics reference the horrific Moors Murders, which took place in Manchester when Morrissey was a child: He’s mentioned that he was the right age to have been a victim of Myra Hindley and Ian Brady, who kidnapped, sexually assaulted, and murdered five children between 1963 and 1965. The song isn’t sensationalistic—it’s actually quite restrained and poignant considering the subject matter: “A woman said ‘I know my son is dead, I’ll never rest my hands on his sacred head.’” Still, the song sparked outrage when it was released, since it references some of the victims by their first names; Morrissey eventually befriended the mother of victim Lesley Ann Downey (“Lesley Ann and your pretty white beads…”), who accepted his explanation that the song wasn’t meant to be exploitive. Whether it’s offensive or not, though, it’s pretty bone-chilling—especially to those who’ve read the ghastly details in Emlyn Williams’ book about the crimes, Beyond Belief.